Many feel the pith helmet is a symbol of European colonialism, but it wasn’t created as a means of expressing authority or repression, only as a way for Europeans to survive equatorial heat and tropical humidity. 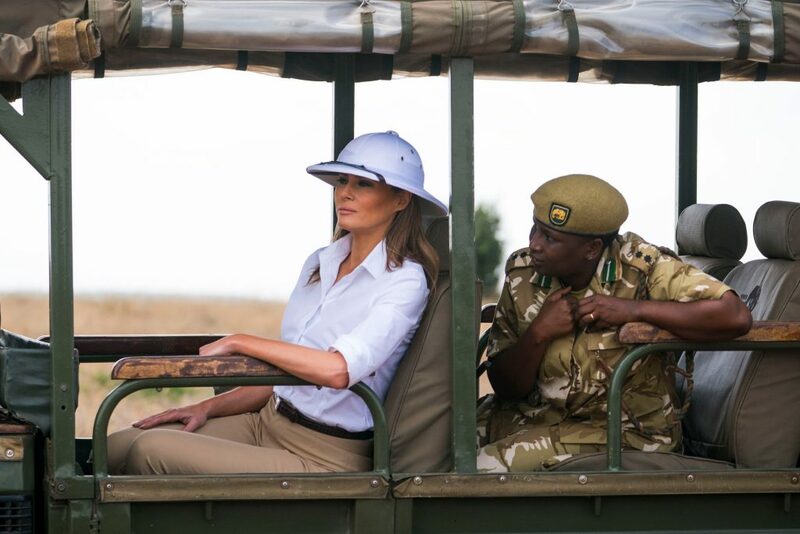 If the pith helmet is a symbol of hot climate imperialism, then a similar argument could be made for parkas and pack boots in former cold climate colonies. The pith used in the helmet’s construction was acquired from the spongey core of the stem of the shola plant that grows abundantly in marshy areas of East India (West Bengal). The light-weight pith, which absorbs moisture and can be easily carved, was traditionally used for creating Bengali wedding headgear. Sometime during the 1820s to 1840s, sun helmets (known as shola topee in Hindi) began to be made by Indians for Europeans who found their straw hats became sticky and limp in the high humidity and heat of the tropical Indian climate. 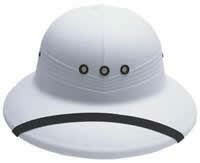 Pith sun hats retained their shape while the hygroscopic qualities of the pith wicked sweat away from the head. In the 1850s the British army were still wearing shakos – a tall Napoleonic era hat style that survives today as part of the marching band uniform. To replace the shako, the pith helmet was adapted for military use. The helmet, which was covered in cotton, had a high crown to prevent sweat buildup, and added ventilation holes on the side and top for air circulation. The helmets could be soaked in water so that on a hot day, the head was cooled as the water evaporated. A wide, sloping brim to keep sun and rain off the wearer’s face and neck also provided a place to fasten a leather or metal chin strap when not in use. Soldiers in the Middle East quickly learned they were targets in their bright white helmets, so they dyed the cotton coverings with tea and dirtied them with ‘khak’ the Persian word for dirt from which we get the word khaki. 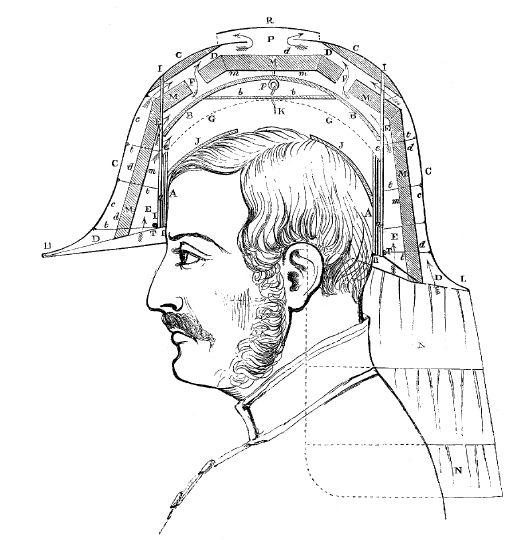 By the late 1860s, the military were making their helmets from cork or metal instead of pith. 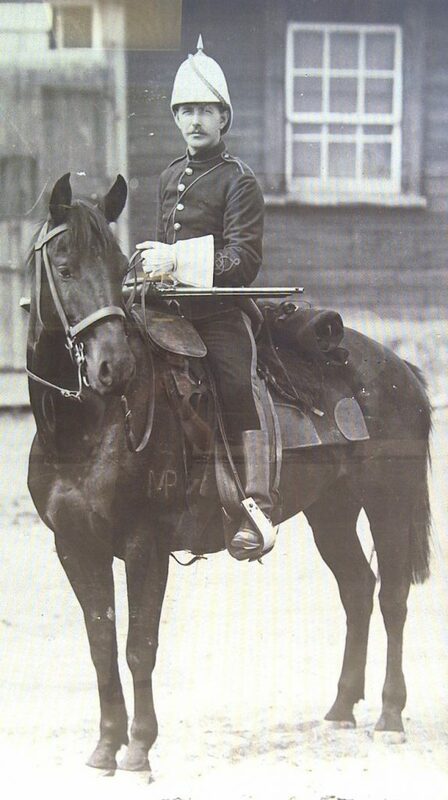 The Northwest Mounted Police in Canada even adopted the style in the 1870s (pictured right). A British style was standardized and became known as the Wolseley helmet in 1899, named after, but not designed by, Sir Garnet Wolseley. This modified version, had an apex at the front and back and is still worn by many regiments including the Queen’s Life Guards. By the late 19thcentury, the genderless civilian style of pith helmet had a rounder shape and flatter top and was known as a ‘Bombay bowler’. Made in India for export, the hats were mostly worn by colonials, expats, missionaries and travellers around the equatorial world: Caribbean islands, The Amazon, Saharan and sub-Saharan Africa, Middle East, India, Southeast Asia, and Australia. The pith helmet style became a prototype for soldier’s ‘tin hats’ during World War I, workmen’s hard hats, and polo helmets, which in turn influenced the design of today’s bicycle helmets. The U.S. post office even adopted pith helmet styles for mail carriers that are part of the current uniform. Pith helmets fell from general use for two reasons. Firstly, as colonies gained independence after World War II, indigenous denizens wore their own traditional styles of headwear that predated the use of pith helmets: turbans, thobes, fezzes, kufis… Although, many of the newly independent countries retained pith helmets for their military and police uniforms. Secondly, travel changed in the postwar world. Extended holidays that began with long ocean voyages to exotic tropical locales were displaced by jetting off for short trips to air conditioned resorts. 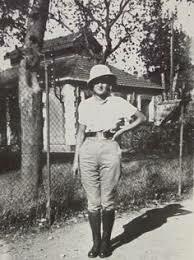 The pith helmet is still being made and worn. One current manufacturer in Pakistan has been making them since 1928. This is a style that was not appropriated from any indigenous culture. It was gender non-specific, and was the result of scientific design to aid air movement, moisture wicking, and sun protection. It was not produced by slave labour, and it was never restricted to or from anyone who wanted to wear one. The style’s association with colonialism is superficial – based on it being originally made for and worn by primarily white people who did not have suitable headwear from their own wardrobes to wear in hot and humid climates. This entry was posted in Classics, Faux Pas, millinery, Myth Information, sportswear. Bookmark the permalink.